Glacier Point in Yosemite can be accessed two ways. The first is a brutal hike up over 4 miles. The second is a road open in the summer. With the kids along we took the road up to the busy touristy visitor center complete with gift shop. It was worth the drive but I would have been dissapointed to have hiked up considering here was no solitude available. 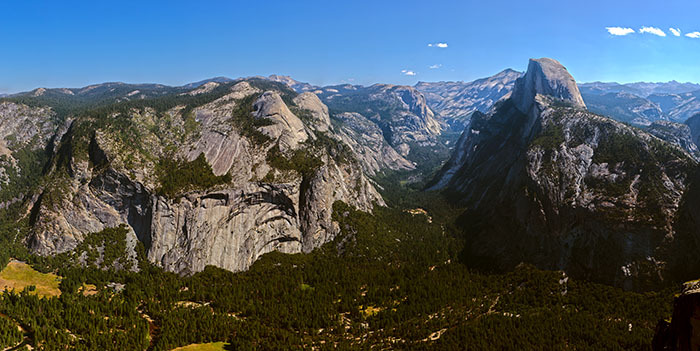 This is an enormous 903 megapixel HDR pano. It was made up of 225 images (5153) and was created by first merging to 32bpp HDR images using Photomatix Pro, stitching with Autopano Pro and finally tone mapping and adjusting with Photoshop. 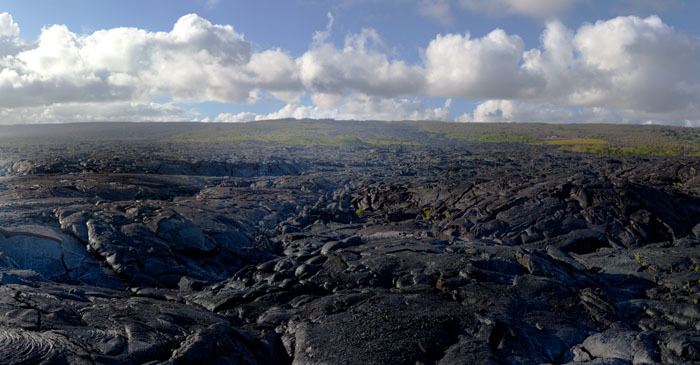 "Fresh" lava rock in Kalapana, HI on the Big Island. We drove down here hoping to find Lava but instead got to walk around on a rock that is only a few years old. Most of what you see here is actually less than 1 year old. 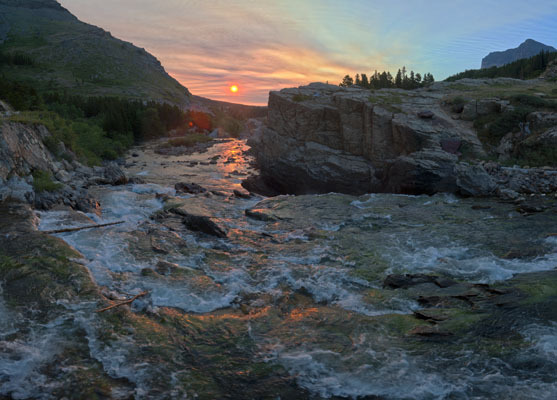 This is a 90 image HDR panorama (3x10x3). Merging to HDR was done with Photomatix Pro, stitching was done with Autopano Pro. The file was tonemapped with Photomatix Pro and then adjusted in Photoshop. The final image weighs in at 425 megapixels. 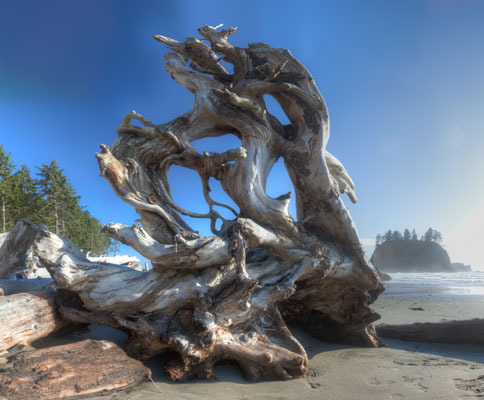 A driftwood stump on Second Beach on the Olympic Peninsula. 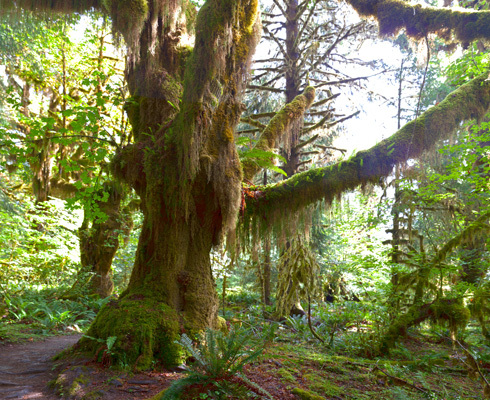 This is a part of Olympic National Park that runs along the coast near Forks. This is an HDR pano totalling 372 megapixels made from 96 exposures (4x8x3). It took a little bit of playing to find a workflow that would work. Once file sizes get above 2GB a lot of tools stop working. 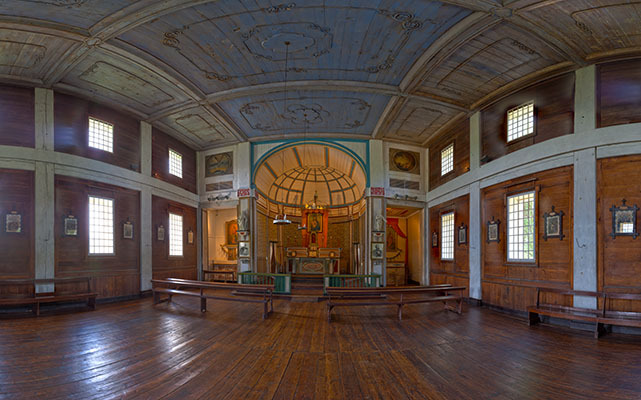 I created individual HDR files for each camera position in photomatix and then merged those in Autopano Pro. The big stretches of featureless blue sky were tricky. I then stitched the photo and tonemapped in photomatix. I finally did a little bit of touching up and sharpening in Photoshop. While staying a beautiful home of a friend of a friend while on the way to Glacier NP, I got up early to capture this early morning mist over a field. 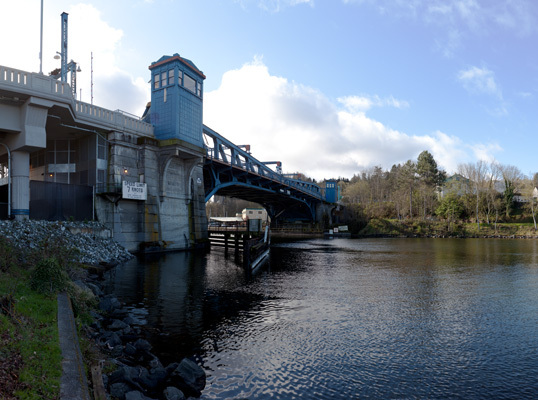 This is a 8 image pano (2x4) stitched with Autopano Pro coming in at 106 megapixels. This is the iconic view of Many Glacier. You can see the historic hotel off to the left. It really was that color. This photo is 10 images (2x5) sitched with Autopano Pro. I cropped it down a little to 96 megapixels. 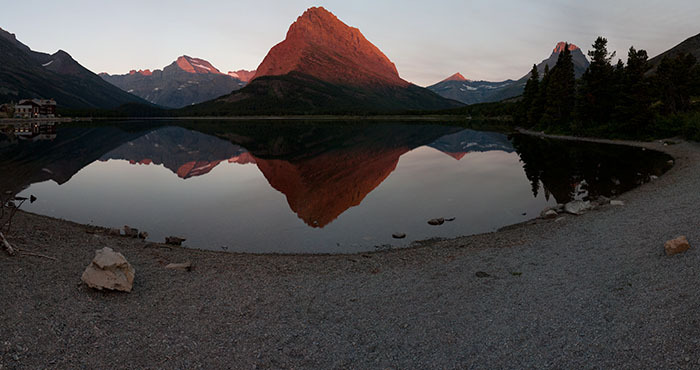 This is from a photography trip to Glacier National Park in 2006. This is a bridge near the Many Glacier Hotel. There were great views both looking into the sunrise and the glow of the iconic peak on other side. This is an HDR merged image totaling ~83 megapixels. The individual exposures were stitched with Hugin and then the exposures were merged with Photoshop. 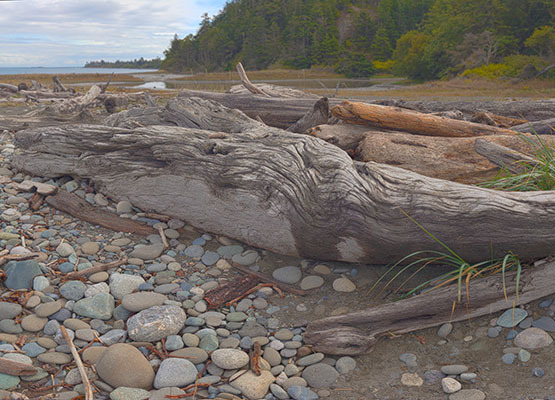 A driftwood along the Dungeness Spit. This is the first HDR pano that I've been able to do anything real with. There are some stitching artifacts and the focus shift isn't as smooth as could be. All images were imported and aligned in Hugin. 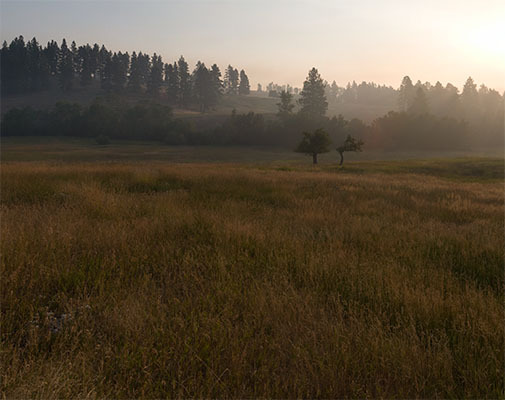 A panorama was then stitched for each exposure level and photoshop was used for the HDR merge. 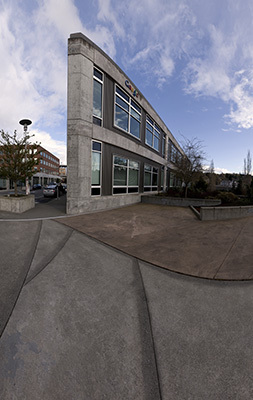 The Google office in Seattle sits right on the Lake Washington Ship Canal and the Burke-Gilman Trail. Our signage is a little subtle, for Google. I was able to get up early before the kids and take some sunrise photos of the Tetons. I wish there had been some nice clouds but I was able to capture some nice alpenglow.